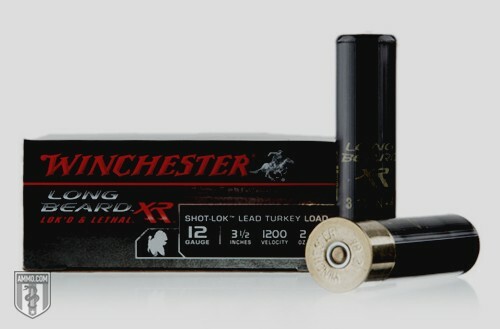 Not to be confused with the almost double-diameter pellets in the #4 buck, the #4 lead shot is a diverse ammunition used in a variety of applications – but is most commonly marketed for turkey hunting. Varmint control, target shooting, home defense and hunting birds of all shapes and sizes can easily be handled effectively with #4 lead shot. Its superior ballistics and tendency to penetrate deeper leads to easier kills, making it preferred over steel when hunting. Typically, your average gun owner will load their home-defense shotgun with buckshot. 00 buck seems to be the most commonly used, but it can depend on tradition, what you’ve been taught and personal preference. Some load their shotgun first with something like the #4 shot size, followed by heavier loads such as #1 buck. The idea is that at close range, the #4 shot will pack a huge punch, while not blasting through multiple walls. Larger shot sizes are usually kept handy for when longer shots are needed. However, this is up to the shooter based on what's comfortable. One of the more recent uses of #4 shot in the home-defense arena is found in revolvers like the Taurus Judge, which can use #4 shot .410 ammo as an effective personal and home-defense cartridge. By far, the most common animals hunted with #4 shot are turkey, pheasant and geese. The #4 lead is one of the best lead shot sizes you’ll ever find for medium to large game birds. Lead flies very well and can keep a tight pattern for quite a long range, making it ideal for large birds in flight as well as runners. Patterning your firearms at the range is essential to be an effective bird hunter, because until you know your weapon personally, you won't know your range, how to adjust the choke and what shell length will give you the most bang for your buck. Do some research on areas before hunting to make sure lead is allowed, as it is sometimes banned outright due to potential land and groundwater contamination. But it's your call when on your own property. So if you have a large plot of land that attracts unwanted visitors like rabbits, squirrels and other small varmint/game species, number 4 shot will get the job done.